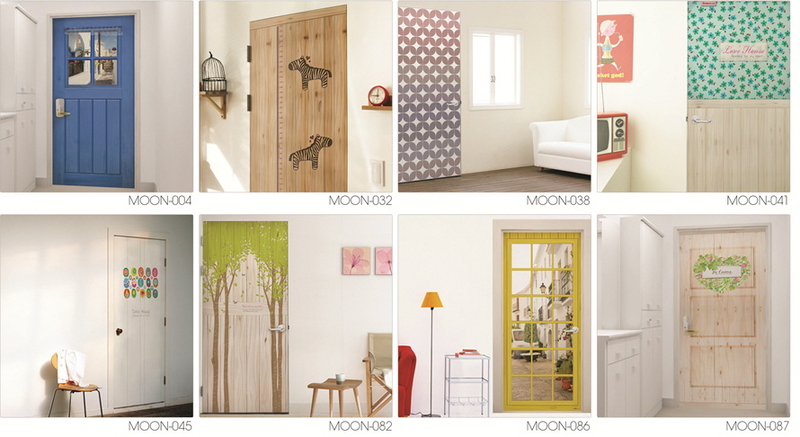 Luna Deco Door Paper is a decoration easily attached to your door. It is adhesive, so it is easily affixed with the rear vinyl cover removed. It is a fine way to produce a characteristics door of your own. It is fully covered with a special coating, making it exceptionally stain resistant, scratch resistant and gloss-resistant. The few stains that do occur can easily be removed with a wet towel. Change you whole interior design with just a simple addition to your door! Luna Deco Door Paper is an eco-friendly product, produced using an eco-friendly system. We use world quality fabric, eco-friendly ink and a Rapid Solidification Processing (RSP) method allowing for perfect contact between fabric and coat. Luna Deco Door Paper is ideal for definite interior effects at low cost; great if you get bored with same standard type of door, find door replacement too costly, or if you just want a change.